With mediAvatar MP4 Converter it is easy to convert video formats to MP4 as well as from MP4 to various audio formats, like converting FLV to MP4, AVI to MP4 ,WMV to MP4, MPEG to MP4, and also to convert MP4 video to M4A, AAC and MP3 Audio, etc. Now viewing and sharing mp4 videos on any media player, digital device, mobile phone, gaming consoles, websites etc. is made convenient. It is even possible to create videos out of photos, or edit, crop, split, merge and add personal touches to your video files before hitting the "Convert" button. 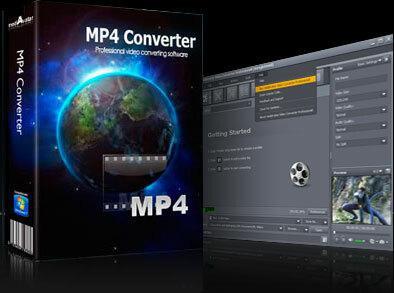 Download mediAvatar MP4 Converter for free to convert between MP4 and other videos now. It couldn't be easier! This easy-to-use MP4 file converter can convert HD video formats: Apple TV h.264 720P (1280*720), VOB HD Video, Quick Time HD Video, MPEG-4 TS HD Video, MPEG-4 HD Video, MPEG2 HD Video, especially H.264/MPEG-4 AVC, AVCHD Video (*.m2ts, *.mts), etc. to MP4 videos or other HD/SD video formats. Not only convert Nearly all common video formats like MKV to MP4, AVI or other video formats for iPod, iPhone, PSP, mobile phones and other MP4 Players, but also convert MP4 to AVI or other video formats. This MP4 file converter allows you to extract audio from HD, SD video, MP4 video such as convert MP4 to MP3 and also convert between audio formats like convert WMA to MP3. Check all the files you want to convert and convert these video files to MP4 at one time with this powerful MP4 converter. By introducing NVIDIA® CUDA™ and multi-core CPU processing technology, mediAvatar MP4 Converter converts files at the highest speed possible.